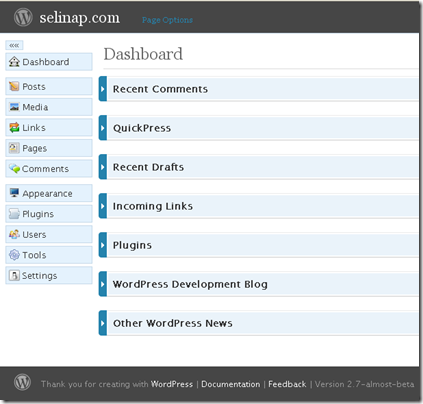 The new look of Wordpress admin page. What do you feel. Isn't it great. I like it. If you disagree, please leave your comment. shaxx: Actually you can try it now. Download the nightly build via svn. 2.7 ni sebenarnya version beta pun belum keluar.